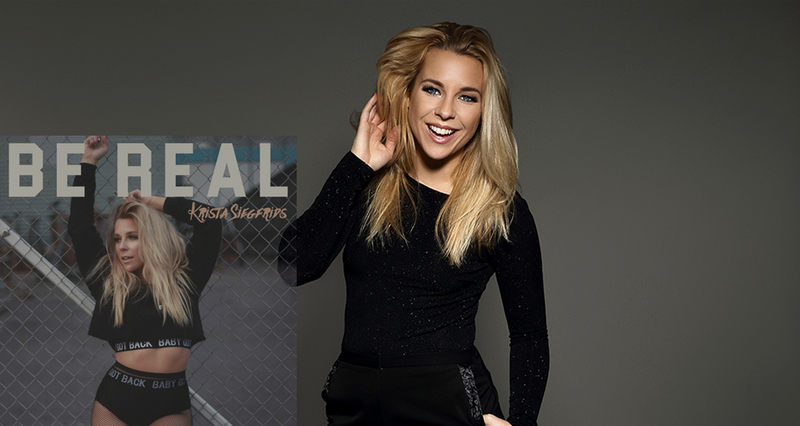 Today, Finland’s 2013 Eurovision representative, Krista Siegfrids has released her new song “Be Real”. A Eurodance/dubstep tune, which is sure to get you dancing like crazy when you think no one is watching. It’s a step beyond the sound she went to Eurovision with in 2013. With just 20 days until, Finnish broadcaster YLE are due to release the songs that will take part in national selection UMK, Krista’s song would fit in the song submission rules, but it remains to be seen whether the song will feature in a Eurovision selection show this year. The last time we saw Krista was on stage for Sweden and during the 2nd semi final of Melodifestivalen in Malmo with song “Faller”, but sadly failed to qualify for the grand final finishing 5th. Krista Siegfrids represented Finland at Eurovision in 2013 with song “Marry Me” which after qualifying for the Grand Final, finished 24th with just 13 points despite being such a fan favourite ever since. What do you think of Krista’s new song? Would you like to see her again represent Finland in the future? Let us know in the comments below.